Kelsey News Network, KNN, is a video series that covers an array of health topics. Kelsey-Seybold physicians from different specialties share insight and advice in s​hort videos. KNN videos can be found on Kelsey-Seybold’s social media sites and in the Kelsey-Seybold.com newsroom section. Dr. Desiree Thomas, Neurology, Kelsey-Seybold Clinic discusses the increase in headaches during the holdiay season. Kelsey-Seybold Neurologist Dr. Desiree Thomas discusses how strokes happen at a higher rate during the holiday season and why. With kids back in school, pink eye tends to pop up. We spoke with pediatrician Dr. Hunaid Gurji from Kelsey-Seybold Fort Bend Medical and Diagnostic Center to see what you need to know. Dr. Pallister an OB/GYN at Kelsey-Seybold Tanglewood clinic discusses all things IUDs. Dr. Pamela Sanders, Pediatrician at Fort Bend Medical and Diagnostic Center, discusses which vaccines kids need to be up-to-date with before heading back-to-school. Dr. Conley-Harvey, internist at Kelsey-Seybold Pearland clinic goes over the proper technique when checking your blood pressure and she stresses the importance of getting screened annually. Dr. Richard Harris, Internal Medicine at Katy Clinic, discusses some important tips for heart health. Dr. John Griffin, Dermatologist at Kelsey- Seybold Tanglewood Clinic, discusses what a skin patch test is and how its used to treat skin rashes. Dr. Jonathan Aliota, Cardiologist, discusses how falling in love can cause physical changes in the body. Dr. Aga discusses the reasons why to use telemedicine and how easy it is to utilize when you get sick with the flu. Dr. Shane Magee, Internal Medicine at Tanglewood, discusses why your nose seems to always run in the cold weather and what to do about it. Dr. Megan Pallister, OB/GYN at Tanglewood, discusses some simple tips if you are planning on becoming pregnant in the new year! Dr. Steffanie Campbell, Internal Medicine at Pearland Clinic, goes over some guidelines for holiday drinking. Dr. Richard Harris, Internal Medicine at Katy Clinic, demonstrates some exercises that can be easily completed in your office. Dr. Jessica Stull, Internal Medicine at Taglewood Clinic, discusses the difference between the cold and flu and what treatments are recommended. Dr. Melanie Mouzoon, Immunization Specialist at Kelsey-Seybold Clinic, discusses the importance of getting a flu shot and what the symptoms of the flu are. Dr. Kara Carter, Pediatrician, Katy Clinic, discusses tips on how to get kids ready for going back to school with a sleep routine. Dr. Mohsin Mir, Dermatologist at Tanglewood Clinic, discusses what Kybella is and what to expect when getting the procedure. Dr. Rohan Wagle, Cardiologist, Katy and Tanglewood clinics discusses broken heart syndrome and what the signs and symptoms are to look out for. Dr. Neema Nayeb-Hashemi, Opthalmology at The Woodlands Clinic, discusses reasons for corneal surgery and prevention tips on how to avoid injury. Dr. Sahil Mittal, Gastroenterology at The Mani Campus and Katy Clinic, discusses importance of getting screened for colon cancer. Dr. Harjaneet Bedi, Family/Executive Medicine at The Woodlands Clinic, discusses signs and symptoms of taking too many vitamins. Dr. Shane Magee, Internal Medicine at Tanglewood Clinic, discusses 5 tips on how to break a bad habit this new year. Kelsey-Seybold Dietitian Ronda Elsenbrook discusses some tips on how to effectively swap out simple carbs for a healthier option. Dr. Richard Harris, Internal Medicine at Katy Clinic, discusses his top resolutions you should consider making in this new year. Dr. Desiree Thomas, Neurologist at Kelsey-Seybold Clinic, discusses the relation between diabetes and neuropathy and some tips for prevention. Dr. Melanie Mouzoon, Kelsey-Seybold Immunization Specialist, discusses why its so important to get the flu vaccine. Dr. Melanie Mouzoon, Kelsey-Seybold Immunization Specialist, discusses if you can get sick for the flu vaccine. Dr. Jessica Stull , Internist at Kelsey-Seybold Tanglewood Clinic, discusses the proper use of antibiotics and why overuse can be dangerous. Dr. Melanie Mouzoon, Kelsey-Seybold Immunization Specialist, discusses who should be getting vaccinated and why. Dr. Melanie Mouzoon, Kelsey-Seybold Immunization Specialist, discusses why the flu mist isn't offered this year. Dr. Melanie Mouzoon, Kelsey-Seybold Immunization Specialist, discusses the best time to get the flu vaccine. Dr. Melanie Mouzoon, Kelsey-Seybold Immunization Specialist, discusses all things flu and why its so important to get vaccinated. Raymond Estrada, Sales Director for KelseyCare/KelseyCare Advantage, discusses the best way to choose the correct health plan on the market place. Dr. Jamise Crooms explains the differences between a cold and the flu. She also discusses if you should feed a cold and starve a fever. Dr. Solomos explains the importance of having an emergency supply kit on hand and what should be included in the kit. Dr. Campbell talks heat illness and what to look out for so you dont over heat this summer. 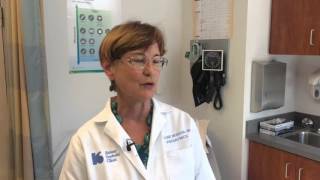 Dr. Pamela Sanders discusses the importance of a helmet safety in this quick clip. Dr. Sanders has some tips on water safety and how to keep children safe. Every summer, we hear about children left alone in hot cars; Dr. Pamela Sanders shares some important tips to protect your kids. Dr. Pamela Sanders, Pediatrician at Kelsey-Seybold Clinic, discusses tips on sun safety during the summer months. Dr. Herbert DuPont, President and CEO of Kelsey Research Foundation, discusses FMT and its uses when it comes to your gut health. Allergist Dr. Sandberg discusses this seasons allergens and tips on how to survive the allergy season. Dr. Marjorie Broussard discusses the health issues with being overweight or obese. she also talks about treatment options and the benefits to losing weight. Kelsey-Seybold Dietician Ronda Elsenbrook goes over a few tips to help you eat healthy while on the run. Kelsey-Seybold Dietician Ronda Elsenbrook gives five tips on how to start eating healthy. Dr. Rohan Wagle, cardiologist, discusses the reason behind the increase of heart attacks in the winter and also talks about signs/symptoms and prevention tips.